This year radio and television broadcasting in Slovakia commemorate round jubilees since hitting the airwaves. The first program "Radiojournal" was broadcast on August 3, 1926. The television studio in Bratislava began broadcasting on November 3, 1956. Radiojournal began its daily broadcast after two months, on October 2. 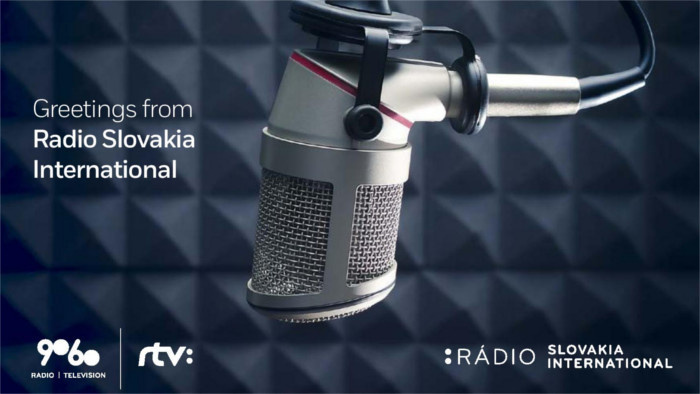 After 90 years of its existence, Slovak Radio as a part of RTVS (Radio and Television Slovakia), now has 11 radio services, including Radio Slovakia International. In 2016 we had one more special QSL card released – this served as a reminder of the 90 years of Slovak Radio programming. It hit the waves on 3 August 1926. 2016 was also the year when we commemorated the first Slovak television program, which began its service on 3 November 1956. In 2016, Radio and Television Slovakia operate eleven radio services. Since 1993 Radio Slovakia International has been member of this big broadcasting family. This QSL card depicts the so-called RADIOJOURNAL building on Jakubovo námestie in Bratislava. It was one of the first buildings in the world to be built for radio broadcasting.